Dr Florian Thevenon represented WaterLex in Perugia, Italy on 13-14 September at the Inception Workshop of the 2018 World Water Development Report (WWDR2018), organized by the United Nations World Water Assessment Programme (WWAP) of UNESCO. 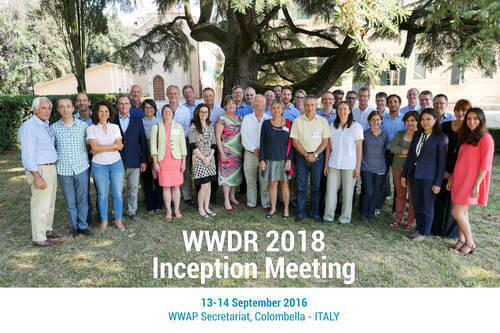 Over thirty experts convened to discuss the scope, structure, and content of the WWDR2018. The report will focus on opportunities for nature-based solutions and how these can help address targets of water related Sustainable Development Goal (SDG6). The meeting also reinforced the cross-cutting nature of water in the overall SDG agenda. Photo above, credit WWAP. Group Picture of the participants to the Inception Meeting workshop. The UNESCO WWAP report of this meeting is posted here. The WWDR2016 focuses on “Water and Jobs” and is posted here. The WWDR2017 focuses on “Wastewater” and will be published soon. Dr Thevenon reviewed some of the chapters in this report, and this topic will be a supporting part of the work of WaterLex in 2017. How to engage local Water Organisations in an integrity process? 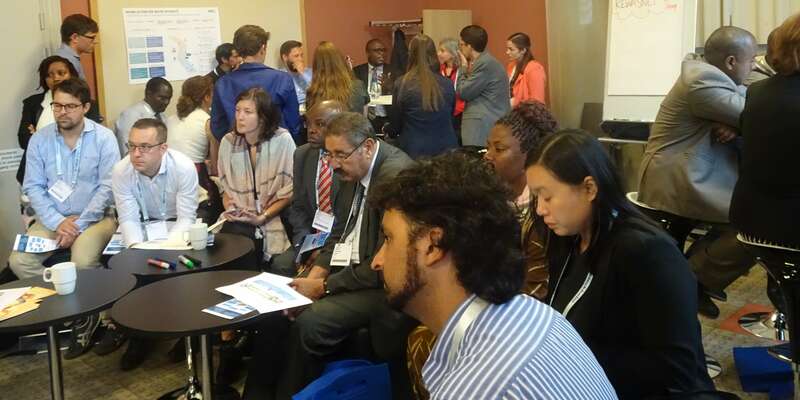 At the Stockholm World Water Week 2016, a very successful and well attended south-south knowledge sharing session discussed on how to engage local water organizations in an integrity management (IM) process. Local project coordinators shared learnings from Bangladesh (Khulna Water and Sewage Authority KWASA) and Kenya (Kenya Water and Sanitation Civil Societies Network KEWASNET, Caritas Switzerland), about applying water integrity tools and approaches in the field (IM Toolbox for small water supply systems, Kenya, IM Toolbox for service providers, Bangladesh, Integrity, Quality and Compliance (IQC) Management Approach for service providers, Kenya). 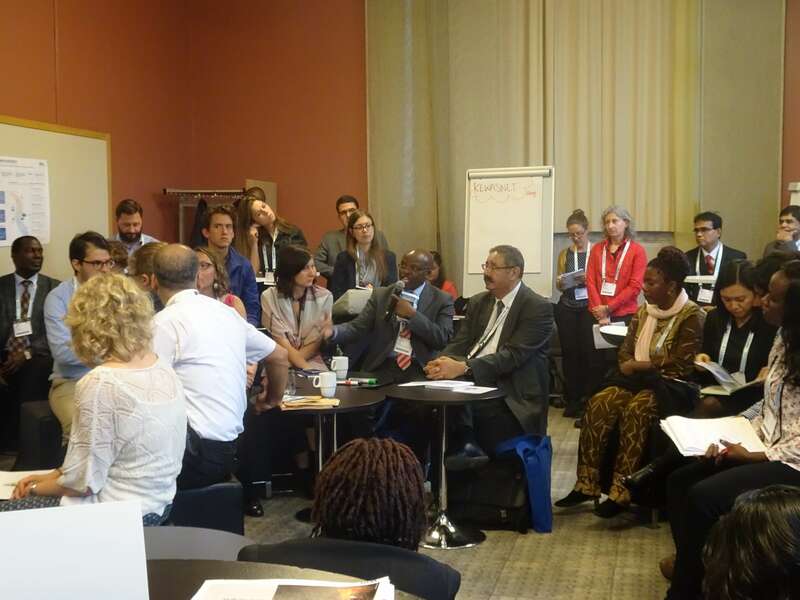 Participants together with the co-convening organizations (Caritas Switzerland, Cewas, Swiss Agency for Development and Cooperation, Swiss Water Partnership, Water Integrity Network) identified challenges and success factors of integrity activities. You may find further information on the discussions held at the event and on the integrity management process in general on this blog post. The Swiss Agency for Development and Cooperation (SDC) joined hands with the Swiss Water Partnership and the Geneva Water Hub to organise a study tour in Switzerland for a delegation of Pakistani and Afghan representatives (from national and provincial level) participating at a UNECE Water Convention Meeting. The study tour takes place from October 20 to 22 in the cantons of Geneva, Vaud and Valais. The mains themes addressed are transboundary water management, flood protection and hydropower. In the frame of this visit there is still a possibility to participate in a stakeholder dialogue session open to all Swiss Water Partnership members on a first come first served basis. This allows you to present your expertise to the delegations and to extend your network. This session takes place Saturday morning (October 22) at the Col de la Forclaz (VS). Alternatively you may also join for the lunch on Friday in Martigny (VS). Please contact us (lucien.blaser@swisswaterpartnership.ch) in case you would be interested to join the stakeholder dialogue or if you would need further information about the study tour. Please also accept our apologies for the short term notification. Help create a match between the supply and demand for Operation & Maintenance technical assistance. 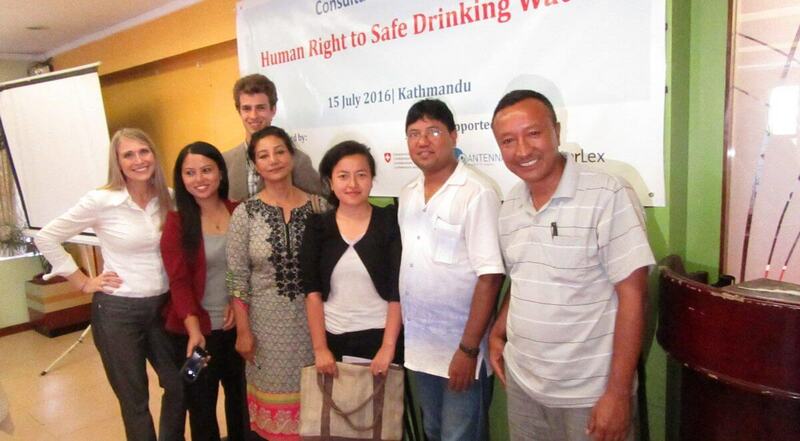 Freshwater Action Network South Asia (FANSA) organised consultative workshops on Human Right to Safe Drinking Water in association with WaterLex and Antenna Technologies in Nepal and India. WaterLex, with Antenna Technologies, FANSA and other partners, are working on a “Safe Water Project” for scaling up safe water solutions in Nepal, India and Pakistan. In July 2016, the three organisations came together to design strategic advocacy action plans for implementation of safe water policy/commitments. WaterLex was present to build capacity on SDG 6 and the Human Right to Water and Sanitation (HRWS) for local social enterprises in the water sector and civil society organisations. Approximately sixty people attended the training workshops. The workshops were held in Kathmandu, Nepal and in Solan, Himachal Pradesh, India. The primary objective of the workshops in both countries was to enhance understanding of the national and global perspectives of the HRWS among the water and sanitation activists and service providers. FANSA representatives focused on the roles and contributions of each stakeholder toward achieving the human rights to water and sanitation, both nationally and globally. WaterLex Development Officer, Mr. Brieux Michoud was present to share the global perspective of human right to water and sanitation. He focused on the 2030 Agenda, the Sustainable Development Goals (SDGs), went into detail onGoal 6, Clean Water and Sanitation and focused then on the ten principles and criteria of the HRWS and the obligations of the principles and criteria. Then, Mr. Michoud shared the new tool designed by WaterLex, the “Checklist on HRWS for Small Scale Water Providers” which aims to increase water providers’ compliance with the human right to water and sanitation principles and criteria. The presentations were followed by group discussions on the checklist prepared by WaterLex to assess the compliance to human right to water and sanitation. Different groups of civil society organisations, service providers and social entrepreneurs discussed the checklist. Based on the tool, they discussed possible strategic advocacy action plans for implementation of safe water policies and commitments. At the end of the workshop, they shared their opinions on the workshop and provided feedback to improve the checklist and make it more usable to different stakeholders. Attendees shared that the workshop helped them to understand the concepts of the human right to water and sanitation. Feedback was overall positive. The representatives from social entrepreneurs found the checklist to be enlightening specific to their responsibilities. Water service provider representatives found the programme to be highly relevant and important to their work. They expressed that the checklist is useful to assess their rank in realisation of human right to water and sanitation. Executive Director of Kathmandu Valley Water Supply Management Board, Mr. Sanjeev Rana stated that the findings and recommendations of the workshop are highly valuable for the water and sanitation policy makers and the concerned government agencies. Please see the full report from Nepal posted here. Please see the full report from India posted here.